The IE Food Truck Fest is back this weekend and is bringing over 45 food trucks together at the Citizen's Bank Arena! Besides enjoying some incredible food the IE Food Truck Fest will also have a Kid's Fun Zone and Bounce Houses for your little foodies as well as live local music, shopping, and giveaways for you and your fellow foodies to enjoy! 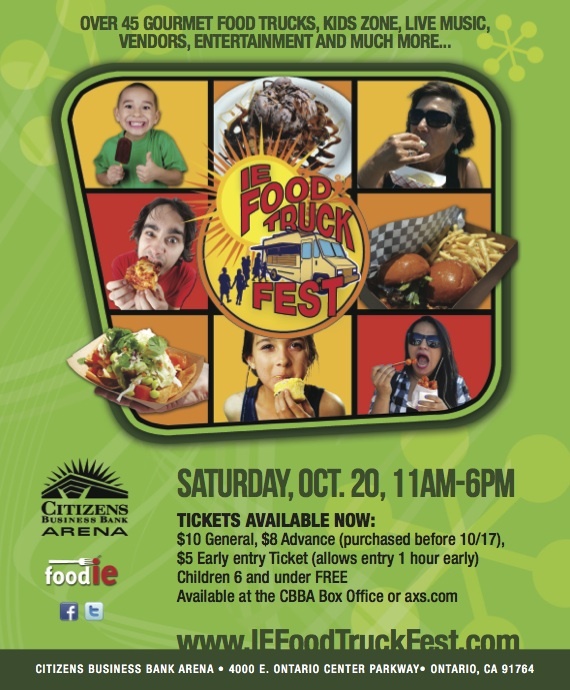 We have the list of food trucks attending and a lot of our faves will be there! Check out the menus for yourself and start building your list what to try because with this many trucks even we're having a problem deciding where to start! Tickets are still on sale! $10 general, $5 extra for Early Entry! Head over to the IE Food Truck Fest's website for more information! We hope to see you there!